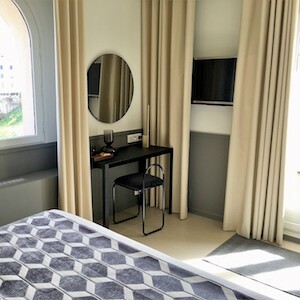 The Hotel " Côté Citadelle " in High city, with is sophisticated style, will wait you in the heart of the old town, the ideal place to discover the fortified city. The building of 15 rooms: 1 Suite with harbour and swimming pool view, 2 Suites old town and harbour/ swimming pool view, 9 rooms with harbour view, 3 standard rooms sight in the patio. 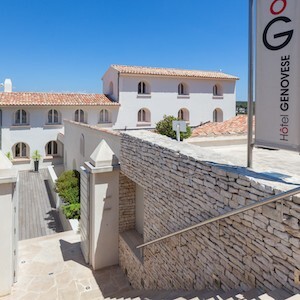 The hotel Genovese offers its customers this feeling of recreation and luxury. The refinement of its building and its emplacement in the heart of the old town are a guarantee of comfort. It is right in the middle of this historical city, with alleys full of secrets and appeal. The hotel Genovese is made of 15 rooms. Each detail suggests the generosity of the greeting, the inside comfort of the hotel Genovese. The peacefulness and the service of this great inn will delight you and will make you live one of the most agreable stay in our establishment. These 3 spacious suites are located in our annex luxury marina Bonifacio, 300 meters from the main hotel building. All suites have a personal touch. Room for 2, possibility of an extra bed for a third person. This suite has a terrace with a panoramic view on the port of Bonifacio, and the swimming pool. • View on the port & the pool. 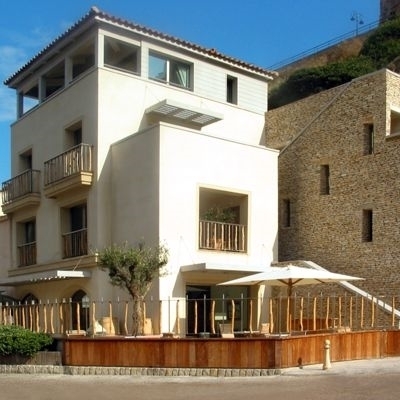 The Hotel "Côté port" sight on the Bonifacio's harbor is a private building, separated from the hotel of the High city. 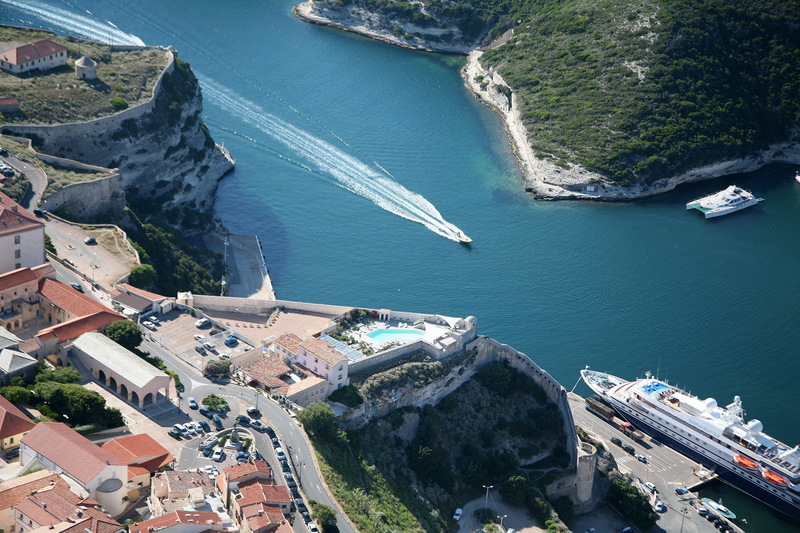 you will be seduced by our 3 luxury suites sight at the entry of Bonifacio's harbour and let you take by the movements of the port(bearing). You may be have the impression to sleep on a boat thanks to the view that you have since your windows and your terrace. For 2 (extra bed possible third person). This spacious suite is located in our annex luxury marina Bonifacio, 300 meters from the main hotel building. Bed Size (s) : 1 king size bed 200 cm. At the Hotel Genovese, we do not depend on the seasons and the vagaries of the weather. Our outdoor pool is heated… all year long, every day. Bathrobes, towels and slippers are naturally available. 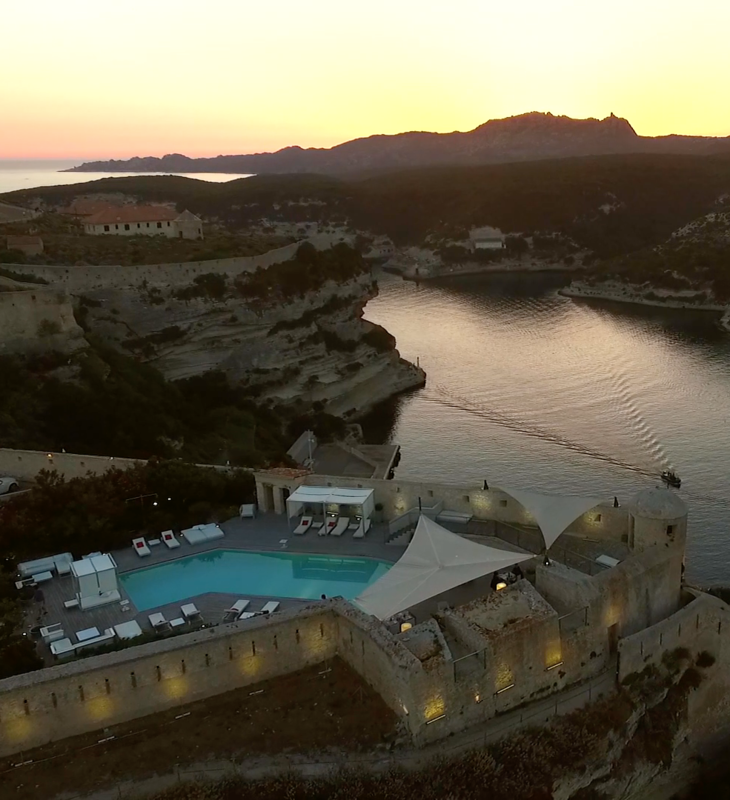 Our swimming pool is bordered by a terrace serving as a solarium, adjacent to the Genoese ramparts overlooking the entrance to the port of Bonifacio. Perfect for lazing on a deckchair, sipping a cocktail or enjoying a dish made by our Milanese chefs. A free shuttle service is available between our various spots. On request, we will be happy to accompany you to the Spa Belezza, the Rooftop of the Hotel Centre Nautique or the shops of Le Carré d'Or. Situated on the harbour, the Spa BELEZZA welcomes you every day in warm and cozy premises. Mélina and her team offer you a high-end service, with a wide range of services. 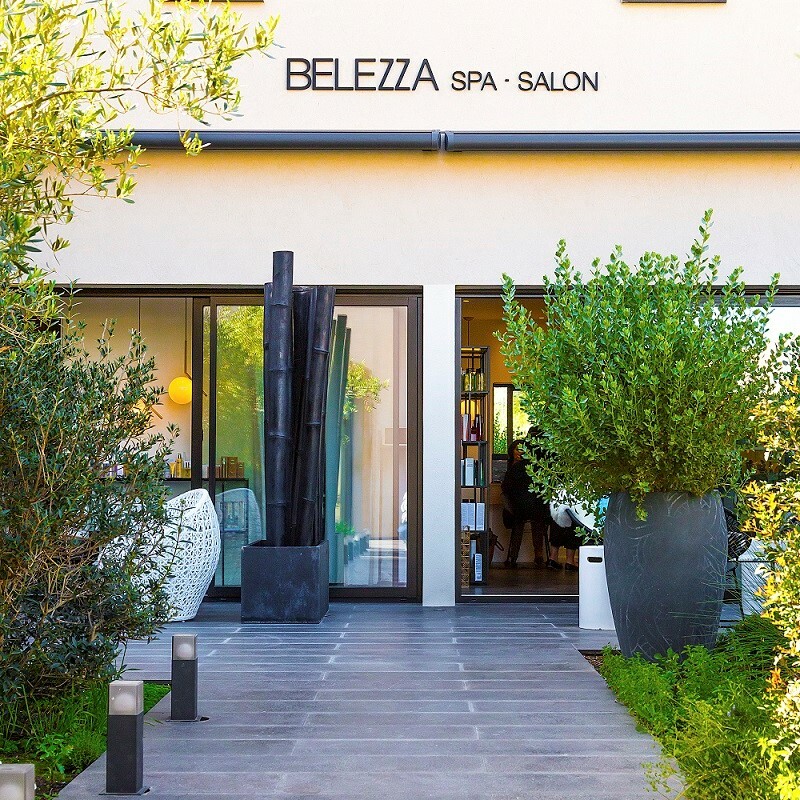 From manicure to hairdressing, to a wide range of massages, Belezza is the ideal place to take a relaxing break and wellness. 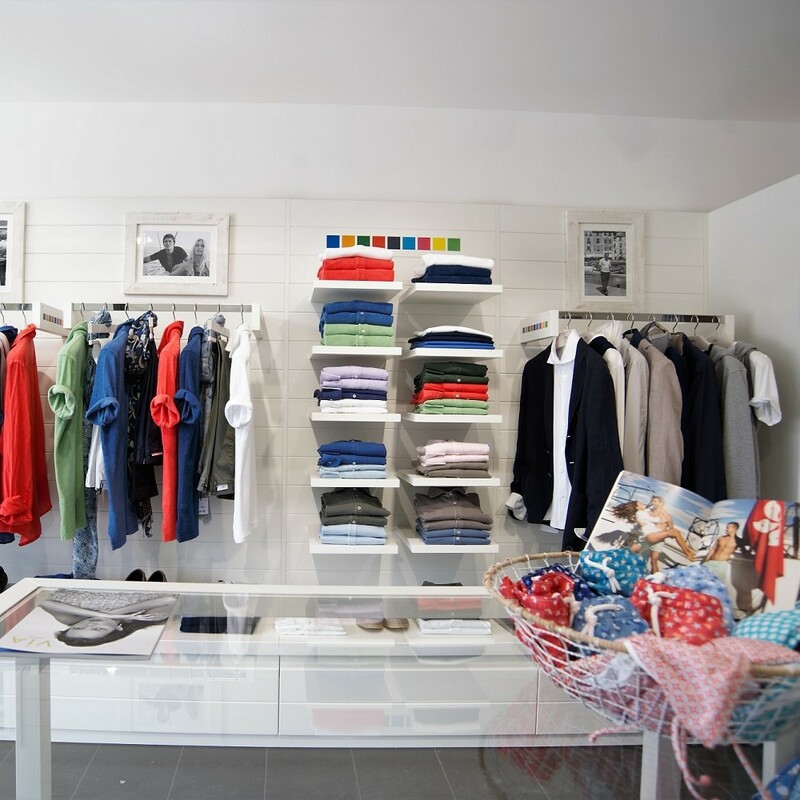 Located on the port within the Carré d'Or, our clothing shop FEDELI awaits you. The Fedeli tradition brand is now in its third generation of leaders. Since 1934, it has been synonymous with the harmony between high quality materials and excellent confection. Thus, in each of the collections, the brand succeeds in expressing passion, innovation and design. Each time, items from the collection become real classics. The combination of elegance, functionality and clear lines, as well as an unparalleled pattern and personal stains underline Fedeli’s unique style. Timeless … Here is the description which corresponds best to the Restaurant of Genovese. Situated a few meters away from the tumult of the City center, our terrace is an island of peace and peace of mind. The spirit of places allies modernity, due to the furniture, and history, due to the Genovese ramparts adjoining the restaurant and its swimming pool. Let’s Offer you a time of relaxation and intimacy within this place of exception. Lunch time fooding : 12 p.m. to 4 p.m.
Dinner : 8 p.m. to 11 p.m. Generous … It is the adjective which suits best to our two Italian chiefs, Ernesto and Mapu. Every day, our cookers propose you a wide variety of Italian and local products. Mastering in the perfection the " pasta asciutta " elaboration under all its declensions, the brothers Milaneses will also know how to surprise you with products stemming from the local fishing and production. During the spring, Our Hotel is designed for families looking to take advantage of the stunning surrounding landscape. 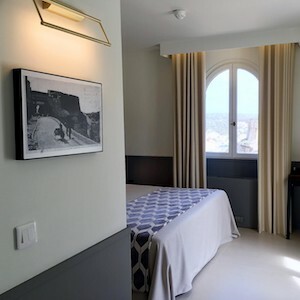 On this occasion, the Hotel GENOVESE offers promotional rates. To benefit, nothing more simple than click on the button BOOK. An absolute comfort to find in our Deluxe Suites offered at exceptionally privileged prices (-20%) on certain dates, that we invite you to enjoy by clicking on the BOOK button. 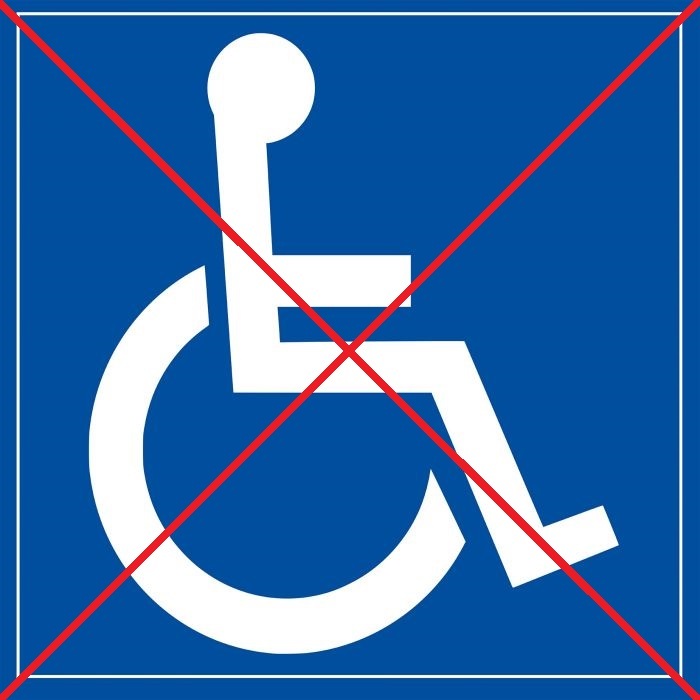 Not able to receive people with reduced mobility. Our hotel is located at the southern end of Corsica. In front, the Sardinia invite us to travel to Italia. 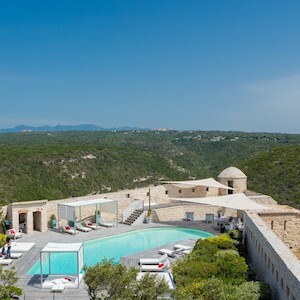 The hotel is located 12 km south of Corsica Figari airport. Allow 15 minutes to get there. At 30 km from Porto Vecchio and its port. Allow 30 minutes. With its exceptional weather, sun-kissed Corsica knows how to please everybody. The feelings there are deep and various, the landscapes, imposing and extravagant. The far South headland of Corsica stands for the final French border. The view gives cravings of escape to anybody who would face Bonifacio. Francis of Assisi, Charles the Fifth or even the young Bonaparte were of those visitors. 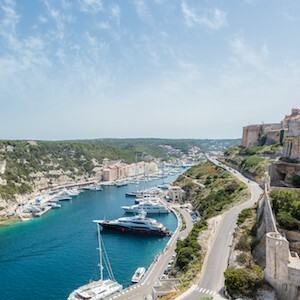 Bonifacio remains one of the most mythical town in Corsica. It will know by its beauty how to dazzle your curiosity. The hotel Genovese is willing to stand for this Genoese past. The building is part of the Walls which overhang the sea. Prices 2019 by type of room, for 1 or 2 people, by day. Have a question about your reservation? You want to organize an event? Contact us for more information. Reservations are considered firm only a deposit equivalent to 30% of total amount for a stay of more than 3 nights, 50% of the total for a 2 nights stay, 100% for 1 night. About group bookings, the entire stay will be required. • The total amount of the deposit will be retained in case of booking cancellation occurs less than 30 days before the scheduled date of arrival. • Any shortened stay will result in the payment of the whole of the original booking, and, as compensation. • For last minute bookings (booking within 30 days of the arrival date), the entire deposit will be retained regardless of the reason for the cancellation. The entire stay will be charged by the hotel as compensation if the customer does not show up on time without us being notified.